Brendan Clarke; Shaun Kelly, Robbie Williams, David O'Connor, Shane Tracy; Dean Clarke, Paul O'ConorÂ (Bastien Hery, 79)Â Shane Duggan, Lee-J Lynch; Chiedozie Ogbene, Rodrigo TosiÂ (John O'Flynn, 79). Conor O'Malley;Â Graham Kelly, Gavin Peers, Rory Feely, Ian Bermingham; Pat Cregg, Lee Desmond; Conan Byrne, Darragh MarkeyÂ (Alex O'Hanlon, 69), JJ Lunney; Christy FaganÂ (Josh O'Hanlon, 84). 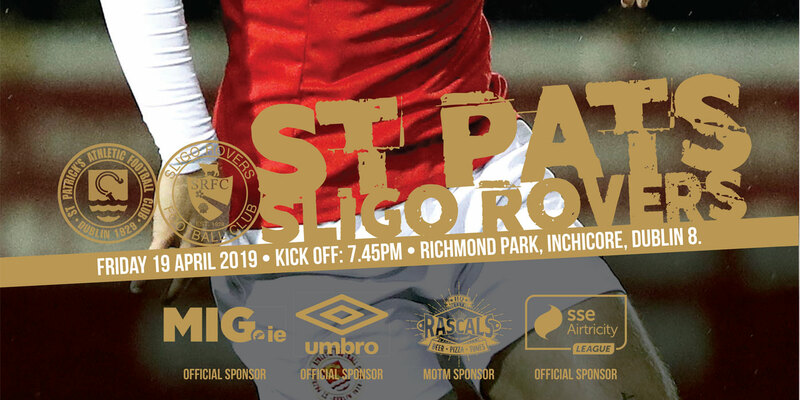 St Patrick's Athletic were grateful to stalwarts Ian Bermingham and Conan Byrne as they came from behind to draw 2-2 with Limerick in the Market's Field. 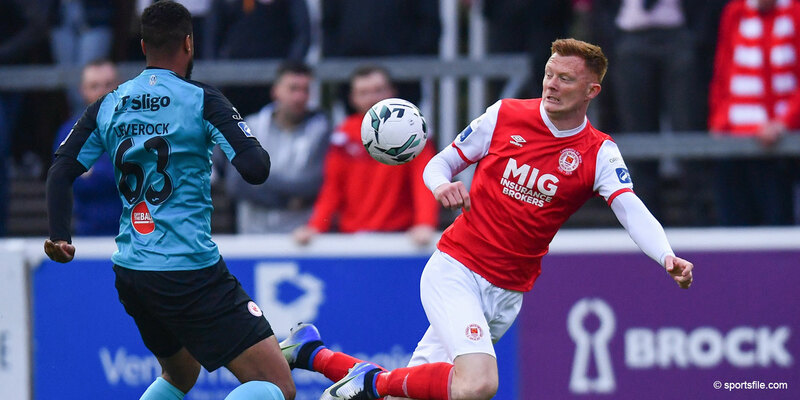 The deadly combination of Rodrigo Tosi and Chiedozie Ogbene put Limerick into a commanding lead, but goals from Bermingham and Byrne meant the Inchicore outfit left with a well-earned point. The Saints were in dire need of a win and welcomed back the much-needed experience of Gavin Peers and Pat Cregg in the spine of the side. They replaced Kurtis Byrne and Sam Verdon. Neil McDonald has admitted that he's still getting to know his players and has tinkered to date. Reverting back to a 4-4-2, Shane Tracy and Shaun Kelly were his two changes - replacing Bastien Hery and Tony Whitehead. The early stages of the game saw Pat's look to exploit Tracy's lack of match fitness through Conan Byrne down the right. Byrne has relative joy but couldn't craft the big opening they desired as Robbie Williams won header after header in the eighteen yard box. Extended pressure from the Saints produced an a handful of corners, but it was from the breakdown of one of these set pieces that they would trail. Ian Bermingham whipped in a clever delivery from the right but his former goalkeeper Brendan Clarke was equal to it - punching clear. Lee-J Lynch picked up the loose ball and ran down the left flank. Lynch appeared to wait an age to release the ball but Chiedozie Ogbene's run was well-timed and he raced onto the pass. Shaping to curl into the far corner, Ogbene did exactly that - leaving O'Malley with no chance. The second was much of the same - with Pat's on the front foot, but the hosts looking dangerous in behind. On the hour mark, it looked like Limerick had put the game to bed. Lynch stood over a free-kick fifty yards from goal. His delivery went over the head of Rodrigo Tosi, but referee Jim McKell penalised Gavin Peers for holding the striker. Tosi stood up to net his second penalty in consecutive weeks - sending O'Malley the wrong way. Three minutes later, however - the Saints were back in it. Just as they needed a captain's influence, Ian Bermingham delivered. JJ Lunney ran down the left wing and sent a brilliant cross into the box. Bermingham bizarrely took up a position in the box and headed past Clarke. 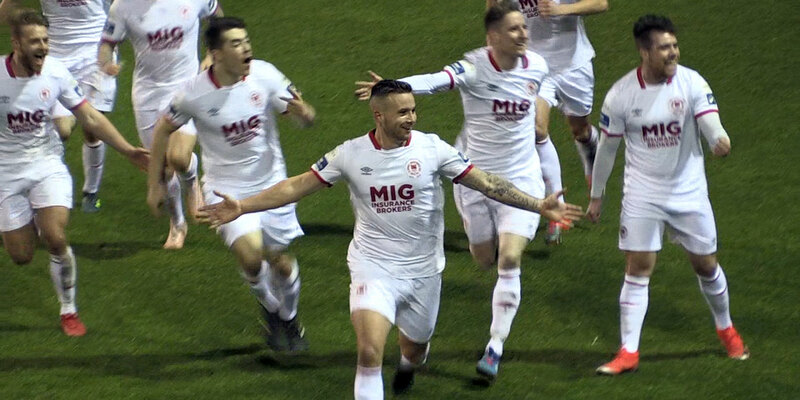 With fifteen minutes left, Conan Byrne stood over a free-kick 20Â yards from goal. He missed a penalty kick in the reverse fixture but gave Brendan Clarke no chance of saving this rocket into the top corner. Pat's still only have the one away win this season, but may take pride in their performance against Neil McDonald's men.